If you want the most from your printer or copier then you need to make sure that you are getting more than just great print power. Most machines come with good print quality but as technology increases it’s not just about print speed anymore. To truly stay ahead you need to have the best smart technology available to get the control and connectivity you need to thrive. That’s what you get when you work with the Xerox WorkCentre 7800 series. The WorkCentre 7800 series gives you the ability to chose from a number of great printers that all come with features that will help you integrate and streamline your business. This machine will give you the control you need to save money and time so you can focus on growing your business. 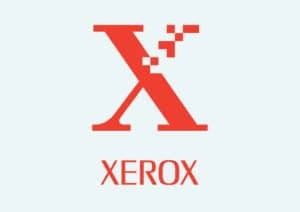 When your get the WorkCentre 7800 series you will of course get the trust Xerox technology that they have become known for. The WorkCentre 7800 series can handle tabloid prints up to 12.6” x 19” and give photo quality prints with a resolution up to 1200 x 2400 dpi. You can also print on paper weights up to 300 gsm, giving you a wide range of projects that you can take on. However, you will also get the widest array of security features available to help keep your data safe. Xerox really went the extra mile with the WorkCentre 7800 series. This machine gives you the smart technology you need to stay competitive in an ever changing office environment, while staying within your price range.